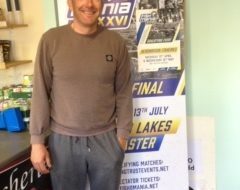 • It’s not just trout at Ravensthorpe ……. The new season at Ravensthorpe Reservoir got off to a fantastic start on Friday 24th. Around 70 fish came to the boat of army fisher Jamie Thomas. Despite being fairly new to the sport Jamie’s fishing companion took 20 fish. The pair reported releasing some of the larger fish which have been stocked recently around the 8lb mark. Anglian Water’s senior coach Peter Hartley fished alongside Gary Howe in the wheelyboat and the pair enjoyed taking 40 lovely Rainbows. “We took some lovely fish and it was a terrific way to start the new season” said Peter. Ravensthopre regular Mick Griffin fished with Roger Kerrison and brought many fish to the boat including a 33lb Pike which succumbed to Mick’s yellow dancer. Most boats reported catches of 20 fish or more. Various lures accounted for the majority of fish caught, including Pitsford Pea, orange blob, dancers, cats whisker and cormorants. Intermediate and sinking lines proved most effective. Bank fishing at Ravensthorpe has been very rewarding with many fish running up and down the bank well within casting range. Floating or slow intermediate lines are best from the bank and the top flies are Pitsford Pea on the point and orange blob on the dropper. Mike Green was first to cast on the water this season and was rewarded with eight fish in a couple of hours including a first fish of 6lb. Mike fished a brown lure with a slow retrieve. 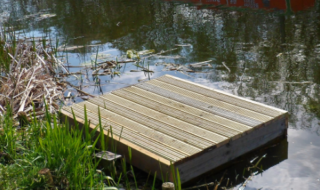 Most anglers have caught fish or had sport from the platforms along Mongers without having to wait many minutes. Chris White fished Ravensthorpe on Monday 27 February and caught 14 fish from the platforms in a few hours, including an estimated 12lb specimen. Unfortunately Storm Doris had a sting in her tail at Pitsford and made conditions on opening weekend difficult. 4,500 fish were stocked ahead of the new season and a good population of resident fish have been evident over the winter months, but the adverse weather conditions last Thursday have affected fishing. Although coloured the visibility of the water is not bad and anglers are catching but the best fishing is to be found closer to the shore and the boats have struggled. Pete Webb fished from a boat on Monday 27th and managed four fish from the North Farm Bay area. Areas to try from the bank are Sermans from Grange Farm Creek to the Holly and the Gravels. Floating or slow intermediate lines are best and favourite lures are Pitsford Pea and orange blob. Anglers wanting to fish imitative patterns have really struggled. Best catch on opening day came to Gav Layton and Seumas Halliday who both took five fish from Sermans Bank. Beginners courses: 5,18,23 & 25 March; 2,19 & 21 April; 11,14 & 20 May and other dates throughout the season. Anglian Water Rudder Match 6 May. Grafham Water opens on Friday 3 March with the New Lodge Trophy for the best fish. 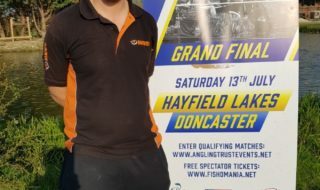 Other matches coming up at Grafham include the Anglian Water Spring Rudder Match on 8 April and the England Eliminator on 28 April. Beginners courses 4,8,19 & 24 March;1,8,13, 23 & 30 April; 21 & 25 May and other dates throughout the season. 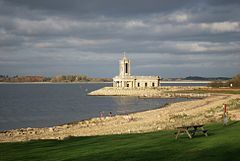 Rutland Water’s opens on Friday 10 March – marking the 40th season of trout fishing at this prestigious venue. Beginners courses 12,16 and 30 March; 5,15,22 & 27 April; 7,13, 19 & 26 May and other dates throughout the season.